If there is one big name that is facing an inevitable sack looming over his head at the moment, it is Jose Mourinho. The current boss of Manchester United has had his name tossed around in the media in the past few weeks, and if reports from everywhere are true, then a sacking is not far away. According to Calciomercato, the thinking tanks of Old Trafford already have a plan to replace their current manager, and a name to do the same has popped up recently. Juventus boss, Massimiliano Allegri, has emerged as a frontrunner to come to United, as the 20-time champions of England look to rise back to being the best. Talks with Allegri’s team have already taken place, and whether the move has a possibility of coming to life remains to be seen. Massimiliano took charge of Juventus in 2014, and has since guided them to 4 straight Serie A titles without much trouble. Already being 7 points off the Premier League leaders, United are all but out of the title race this season, and are desperate to bring a champion to lead the pack for the future. A winning mentality, along with an adaptation to modern football, are the qualities that United would be looking for in their new boss – categories that Allegri perfectly fits into. The Red Devils face a tough run of fixtures after the international break, with Chelsea, Juventus, and Manchester City all being their opponents within one month. 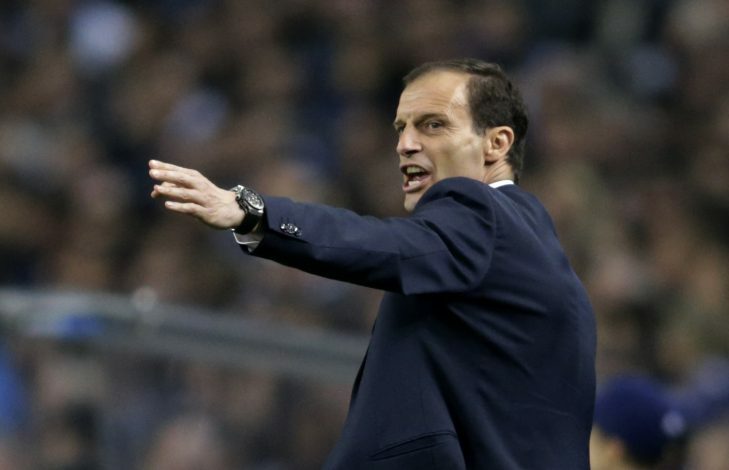 If they get through this without much pain, Mourinho’s stay might extend, but if results go according to what is being predicted, then Allegri could well be on a flight to England in the near future.